valentine's day cards for kids, classroom exchanges, and bffs. monster hearts hair ties. 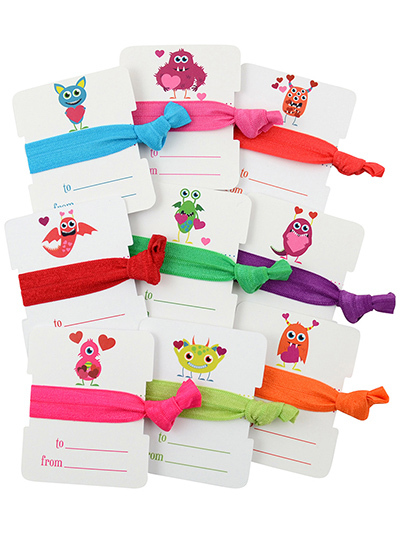 9 single packs with to and from fields for personalization.